Pick n Pay is a retail business in the fast-moving consumer goods industry on the African continent that believes doing good is good business. Pick n Pay operates through multiple store formats under two brands – Pick n Pay and Boxer – and we have the largest online grocery business in Africa. Pick n Pay is a multi-format, multi-channel retailer with a strong and diverse portfolio of stores. Pick n Pay is an inclusive brand, not aimed at serving a single customer demographic but focused on being the retailer for all, from the most affluent of society to those who are less fortunate and for whom price is of the utmost importance. The middle-income South African consumer, however, makes up the largest portion of our customer base. Pick n Pay operates on both an owned and franchise basis, providing a wide range of products and value-added services, and includes an online offering. Pick n Pay is focused on delivering an exceptional customer offer, including range, quality, price, availability and service. 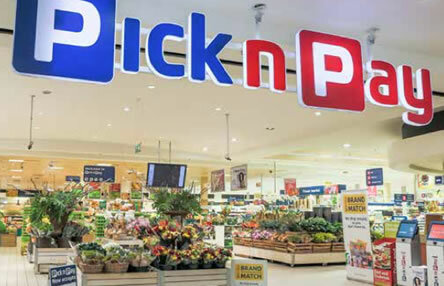 Pick n Pay has a strong growth plan, benefiting from the flexibility of its formats and its leaner operating model, and will focus on bringing its offer to communities where we are not yet well represented, including through small convenience stores. 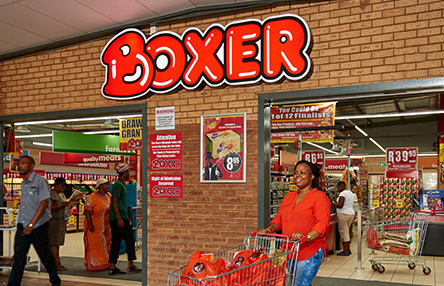 Our Boxer stores provide a “one-stop shop” for middle to lower-income shoppers in South Africa and Swaziland. Boxer offers a tight range of quality products and services at very affordable prices. Stores offer essential daily commodities such as maize meal, rice, samp, sugar, oil and beans as well as perishables, health and beauty, general merchandise and bulk-buy offers. The stores also offer fruit and vegetables, butcheries, bakeries and deli sections providing a choice of prepared convenience meals. There are no franchise stores under this brand. While Boxer now has reach across all nine provinces in South Africa, its geographical heartland is KwaZulu-Natal and the Eastern Cape. Boxer will continue to grow and expand in areas where the Group knows it can serve the needs of communities through its wide product range, affordable prices and community-rooted staff. The Group has a 49% investment in its associate TM Supermarkets in Zimbabwe. TM Supermarkets is one of the most trusted retail brands in Zimbabwe. With its pay off line “Real Value Always”, customers are offered a wide range of groceries and perishables, with a limited range of general merchandise and a fresh offering which caters specifically for the communities they serve at competitive prices. 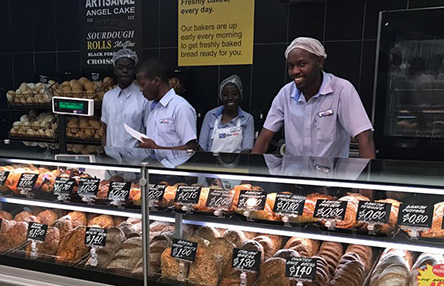 TM Supermarkets draws its customers from all communities and income groups across Zimbabwe, while store formats range from convenient small supermarkets to larger supermarkets. Our customer offer focuses on food, non-edible groceries, health and beauty products, clothing, liquor, pharmaceuticals, building and hardware and general merchandise. The offer also includes value-added services such as third-party bill payments, ticketing services and financial transactions at till points. In addition to manufacturerbranded products, we have a growing own-brand range, in both Pick n Pay and Boxer, to suit every customer’s budget. We are focused on delivering good quality at great prices and we appeal broadly across all sectors of society. We seek to move hand-in-hand with the changing needs and aspirations of our customers. We keep customers at the heart of our business. This philosophy informs everything we do, from how we treat our customers, to the product range we offer, and how we design our stores. Putting the customer first means we work hard to understand their diverse and changing needs and how we can serve them better. Through our Pick n Pay and Boxer brands, the Group serves customers across the diverse spectrum of South African society, and is expanding its reach into the African continent. More than half of all South Africans shop regularly in our stores and we have some of the most loyal customers in the country. Greater operating efficiency provides headroom for us to invest in improving the customer experience. We work in partnership with suppliers and service providers to provide value and convenience for our customers. The scale of our business allows us to give our suppliers sufficient volume so that they can plan and manage their operations to reduce costs. We procure, transport, store and display our products as efficiently as possible to keep costs to a minimum. Our focus on centralisation across all areas of the business has increased our business efficiency. Customers reward those businesses that they believe are at the heart of society and who give back to the communities they serve. As customers reward us with their loyalty, we are able to grow, serve more customers, generate more jobs, and help more communities – whether by supporting communities or groups during times of crisis, helping to develop local suppliers and small businesses, or tackling societal challenges such as obesity and climate change. We employ 52 000 people in our company-owned stores and operations. Our franchise stores extend this to 85 000 people working under the Pick n Pay and Boxer banners in seven countries. Working at Pick n Pay is more than a job; it is an opportunity to learn, develop new skills and benefit through teamwork. We are committed to training, developing and empowering our people.